On 28 April 2016, García Alcocer was ratified by the Mexican Senate as the Energy Regulatory Commission’s Chairman for a seven-year period, with the possibility of extending the period for one more term. Prior to this, he served as Head of Public Policies on Exploration and Extraction of Hydrocarbons at the Energy Ministry. As such, he was in charge of designing both the contract and the technical aspects of the biddings for Exploration and Extraction of hydrocarbons under Mexico´s new energy framework. His experience in the hydrocarbon sector includes the entire oil industry value chain, including technical and economic regulation, public policy design, evaluation and business development. 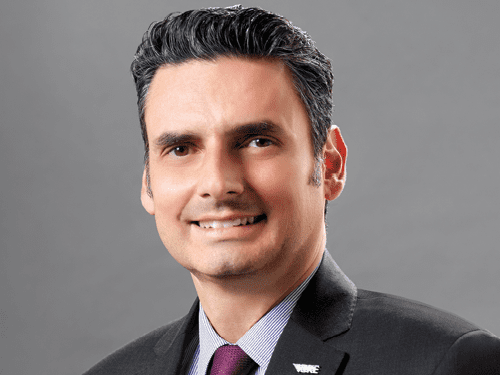 Mr. García was one of the three candidates nominated by President Enrique Peña to the Senate to preside over the National Hydrocarbon Commission for the period 2014 – 2019. He was also Director General for Exploration and Extraction of Hydrocarbons, and as such, he headed the technical group of the Energy Ministry responsible for proposing and successfully negotiating with Congress the Energy Reform regarding the hydrocarbon sector (from the constitutional and the legal changes, to the related regulations). Before that, Guillermo García was Director General of the office for Industrial Development of Hydrocarbons at the Energy Ministry, and as such, he was in charge of designing and approving the partnerships of the companies in charge of refining, petrochemicals and logistics, as well as projects related to the marketing of oil. He was also in charge of the natural gas pipeline development program (currently being implemented) and of the Etileno XXI project. Mr. García got his BA in Economics at the Instituto Tecnológico Autónomo de México (ITAM). He studied several post graduate courses at Oxford, Harvard and George Washington Universities, as well at ITAM. He was awarded the National Prize on Economics in 2001 by Mexico´s President, supported by CITI Bank (Banamex). His Alma Mater also granted Guillermo its Research Award in that same year. During the last 4 years he has been a panelist in the most important national and international specialized fora on the Oil industry.